A WW1 spy story in which the late Rhodri Morgan investigates the mysterious life of his great uncle who shared political secrets with Lenin in a barbershop in Zurich. In the months before his death, former First Minister of Wales, Rhodri Morgan, investigated the life of his great uncle, Morgan Watkin, whose secret wartime service reads like something from a novel by John Le Carré. 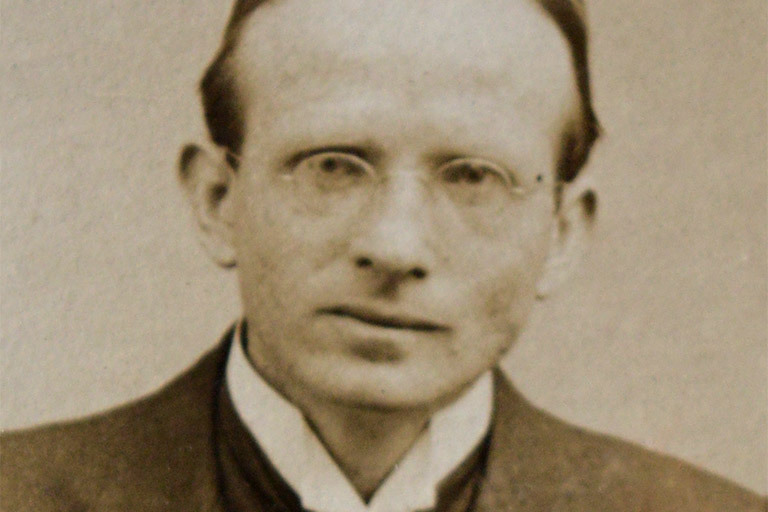 After the First World War, Morgan Watkin became one of the leading lights in Welsh society. But behind the conventional façade, there was an extraordinary secret: Morgan was a spy recruited by David Lloyd George, who became Britain’s Prime Minister in 1916, to play a crucial role in The Great War. 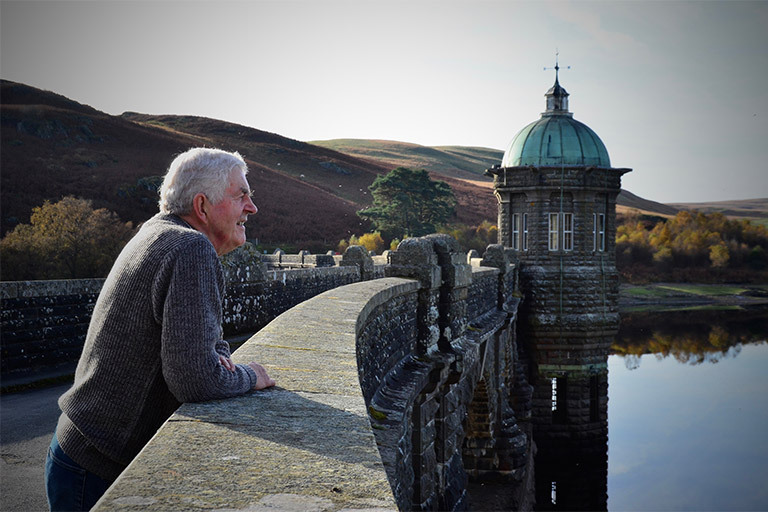 Rhodri Morgan at the Elan Valley dam, where Morgan Watkin worked as a much sought-after master mason. It was at this time that he set out on his path to academic success. Rhodri Morgan remembered Watkin well but wanted to understand how a boy who left school early to work underground in the Swansea Valley, and subsequently as a skilled mason, then became a leading academic figure. How did he come to share secrets in a backstreet barber’s shop in Zurich with Lenin, then a revolutionary thinker in exile? Rhodri with his cousin, historian Nia Powell, in the Café Odeon in Zurich. Rhodri’s quest took him to Switzerland, and found him uncovering the life of a gentleman spy. He visited the Café Odeon which was a hotbed for spies during WW1. Lenin was a regular customer during his exile in Switzerland. The journey was both illuminating and moving for Rhodri. 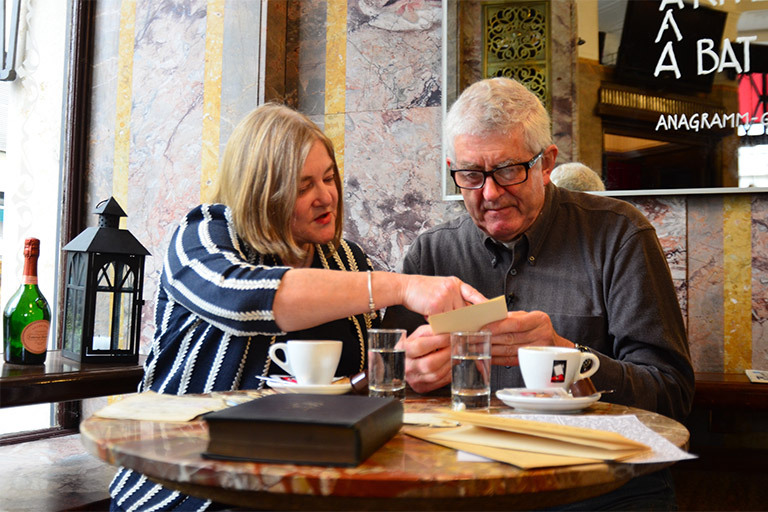 Walking in Watkin’s footsteps in Zurich, he learnt much about one of his first loves – the convoluted twists and turns of Twentieth Century political history – and a lot more about his own remarkable family history.